I am not a major attendee of the loosely-defined "family film." I see the Pixar flicks of course (even Cars 2, which was the most morally irresponsible film I've seen in some time), a handful of Dreamworks' output, but from there, all I go on are reviews and vibes. So when I say that Winnie the Pooh is the best family film of the year, and one of the best of the last few years, know that I'm not speaking with a great degree of authority, but that I also deeply love films that can truly be enjoyed by anyone of any age. Fantastic Mr. Fox was my favorite film of 2009 for a reason. And Winnie the Pooh may well land in my top ten for this year. Its overwhelming genius is its delightfully underwhelming simplicity. It runs just barely over an hour, and even then has room to stretch its legs, sing a song, walk across the Hundred Acre Wood, and ponder the similarity between "issue" and "achoo" in certain accents. The plot is threadbare and of little consequence in the grand scheme of things, just as playtime should be - Pooh seeks a pot of honey, Eeyore has lost his tail, and the whole gang is greatly concerned about a monster lurking in the woods after Owl incorrectly reads a note left by Christopher Robin. Much like Spike Jonze's Where the Wild Things Are, one could (and many have) read the cast of characters in Pooh to be different aspects of Christopher Robin's (or indeed any child's) personality and development. Pooh is the warm, content, and easily satisfied side, Piglet is eager to please, Owl is the know-it-all, Rabbit is fastidious and easily frustrated, and so on. Thus the characters are easily and quickly defined, even to someone like me who hasn't watched or read any Pooh-related material since childhood, and better still, are naturally flawed. Tigger may have boundless energy and optimism, but when he tries to reshape Eeyore in an attempt to imbue him with same, he can be a bit of a bully. What is remarkable is that these characters are never, at least in the film, torn apart by their differences or sometimes aggressive personalities. They may scowl at Owl (rhyme!) for causing a panic over nothing, but they are constantly encouraging and supporting each other, both for the benefit of the group and because that seems to be their default attitude. 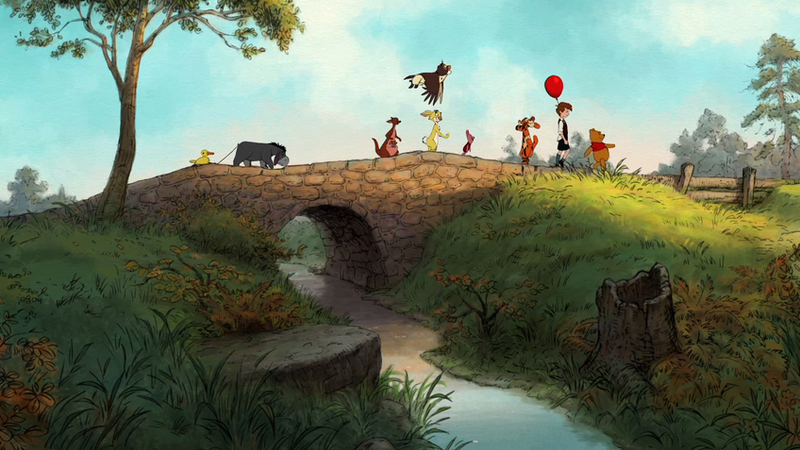 There isn't any cynicism in Hundred Acre Wood, nor pettiness. There are no grudges held. Everyone is included in a given activity, because why wouldn't they be? This kind of casual optimism, the idea that people (or, you know, stuffed animals) naturally treat each other with the utmost kindness and respect, may be unrealistic, but it is a perfectly noble and worthy pursuit in a work of art. And it created in this viewer a rare, warm fuzzy feeling all too absent in theaters this or most other years. There is one final aspect of the film that I have to touch on, and that is its use of language. 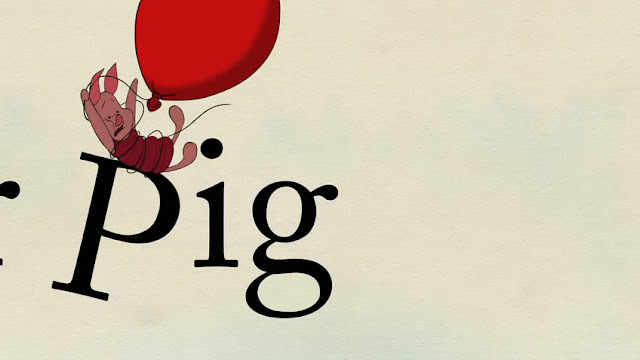 For a film centered around a bear who, by his own admission, is rather flummoxed by quite a lot of words, Winnie the Pooh shares a concern with language not often found in films for audiences of any age. The characters speak eloquently, in their own way, and there are some misunderstandings and re-appropriations that would delight any enthusiast of the spoken word. It's witty and clever in an understated but no less rewarding fashion. Furthermore, the characters literally interact with the text of the story they're in (as narrated by John Cleese), to the point that their rescue at a crucial moment is aided by the letters themselves. From a simple aesthetic level, it's lovely and nicely creates a storybook feeling, and if one were so inclined, it opens up a number of wonderful interpretations about the importance of the written word in our culture. But I'll leave it at that for now, save that I was really swept away by this film. The animation is at once clean and slightly rough around the edges - watercolor backgrounds and slight traces of pencil marks give it a personal, homespun touch (fitting for a film set in the woods) - and the voice cast is superb in regards both oratorical and musical. Unpretentious but surprisingly smart and clever, free of cynicism but not from honesty, it is not only the most rewarding family film I've seen in some time, but one of the more pleasurable encounters I've had with the cinema this year.